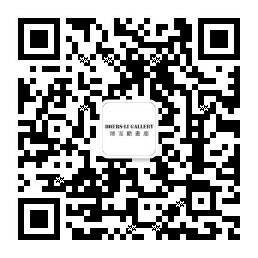 Boers-Li Gallery is pleased to announce its participation in SH Contemporary 2012, which we will present LI Shan solo exhibition – Pure Art. There is a strong direction of thought that says there are correlations when we are bringing “things” together, whether it is in a tale, a dream, a thesis or in art. Nothing here is without meaning. The mind is a master in making sense of the unspectacular, the lost and the unknown. It is also capable of highlighting or hiding those correlations to supply us with a more profound understanding of the world around us. Contemporary art - defined as applied conceptual art, as a lucid art critic recently characterized our topical way of thinking - is full of this, not to say it is its life elixir. The small works of the Beijing artist Li Shan, made in the 70s, seem to ignore this all. On the first sight her oils on paper, with their non-contemporary bright colors and limited sizes, pretend to be noting more than showing just what was in front of her when she was sitting at home, at her friends’ places, in the neighborhood or at the beach - and she is good at this. Her recordings look casual, almost natural and joyful, which is rare in today’s Chinese art. It was also not so difficult in those days of the Cultural Revolution to be un-contemporary in China: Art was blocked from international contact by the central ruling regime and was restricted to social realistic propaganda - not high on the list of what contemporary art is. from any art education, and she respected her sincere endeavors to catch the beauty of moment under the hard circumstances that almost every Chinese were confronted with in those days. Although her artistic excursions were not politically motivated, it is not difficult to understand that these excursions were her own escape routes and responses to the sociopolitical reality. Such exit strategies resulted in her own interpretation of ‘art for art sake’. Estranged from official art practice and cut off from international cultural exchange for decades, impressionistic oil painting was something that came from far enough to get close to “Wu Ming’s ideal” of making “pure art”. By asking herself if it was difficult in those times as a female artist to survive, she denies this and says that women were relatively free during the Mao System, which was one of the few advantages in those days. Later, when China opened up and its art world became more susceptible to topical developments from abroad, her anxiety to articulate her isolation with the group diminished, only to be continued now in a series of still life. It took almost 30 years to rediscover Li Shan and her fellow artists as groundbreaking forces of the new art practices in modern China. May be only in retrospection can it be possible to review the importance of her contribution, artistically and in attitude. In this way it is only on the second sight that we can recognize that her subversiveness – which scores high on the ranking “what is contemporary” – that made her to one of the unforeseen contributors of the initial forces of Chinese contemporary art.